It’s that time again. Time to start working on something new. And time to revisit my old flame: Stone Washed XL. 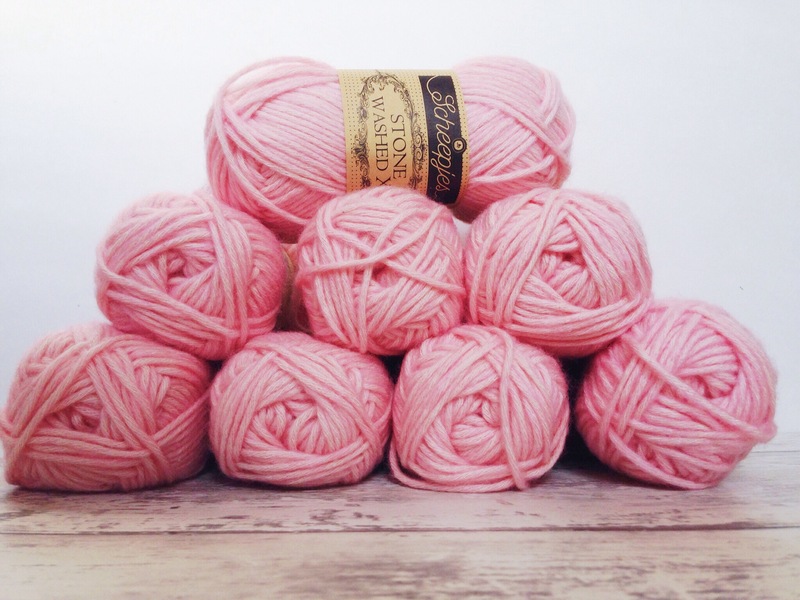 You already know how much I love this yarn, it’s such a pleasure to work with. 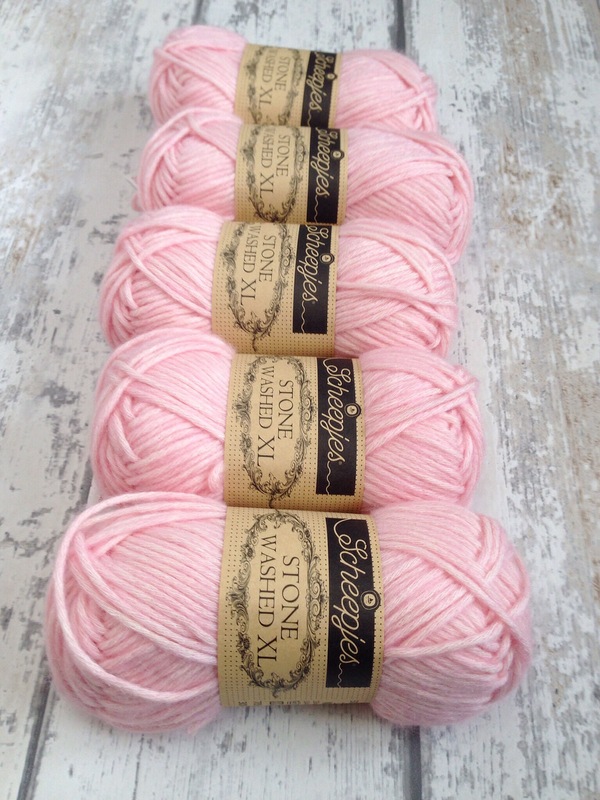 I also love the pastels that were added to the range last summer, they’re all just so pretty. 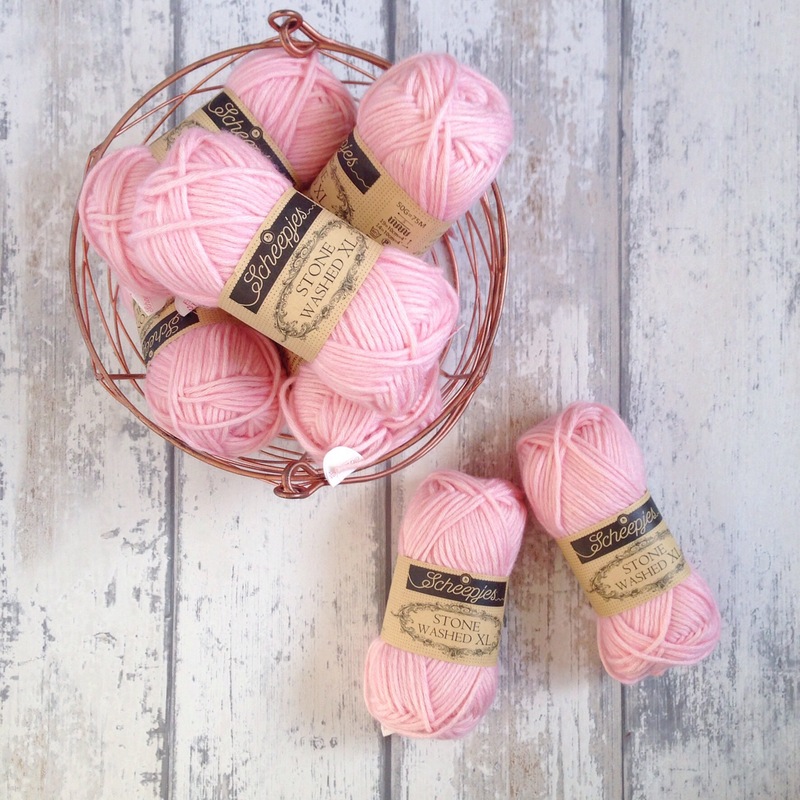 For this project I’m using the lovely soft pink (860) and after many requests, am making a child’s version of the Peek-a-Boo Button Wrap! 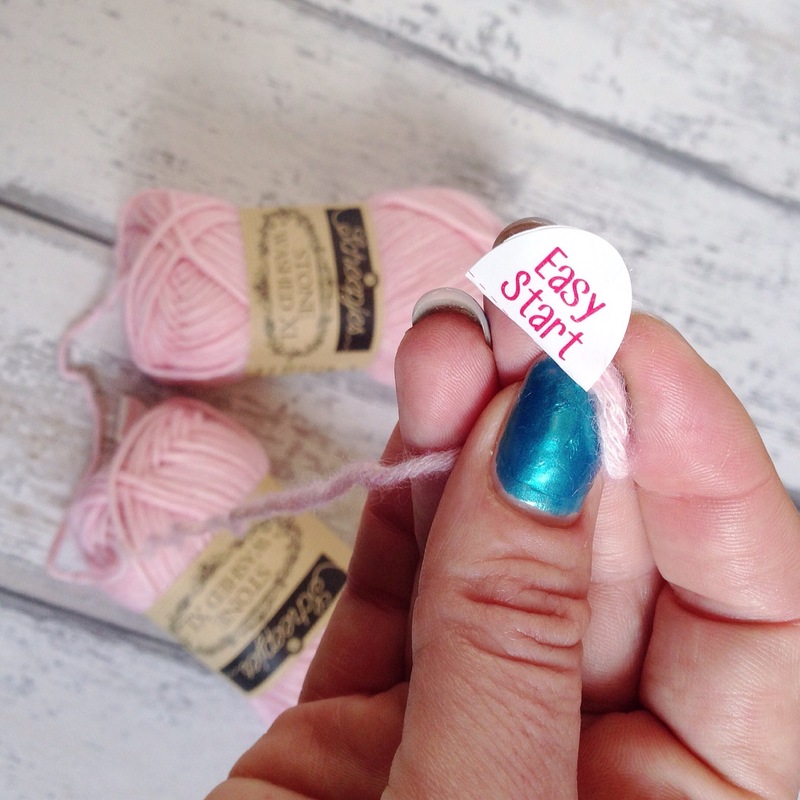 This Easy Start tab, is without a doubt the single most innovative idea from Scheepjes. This is them really thinking about the user experience. I can’t rave about it enough. For now, I’m off to crack on with this Peek-a-Boo. What are you up to this week? This entry was posted in free pattern, Pattern, Scheepjes, Uncategorized and tagged crochet, haken, peek-a-boo, scheepjes, stone washed. Bookmark the permalink. Where in the U.S. Can i buy Sheepjes Aquarel ?